Your current door may be perfectly functional, but you might worry it isn’t secure enough to deter would-be burglars. Even if you don’t use your garage to store your car, many of the items we keep in them can be valuable. The humble bicycle, for instance, can be worth hundreds, possibly thousands, of pounds, not to mention other types of expensive sporting equipment, and DIY and gardening tools and equipment. A secure garage is essential if it has a connecting door into your house, or even if you keep your ladder in it – it’s not so much the value of the ladder as what can be achieved by the wrong people getting their hands on it that you need to be mindful of. If you do any work in your garage, keeping it as warm as possible is something you’ll benefit from. If your garage is attached to your house, keeping it insulated will help keep your house warm at the same time as decreasing your heating bills. Replacing your draughty old garage door with a fully insulated one will really help keep the heat in and the frost out. 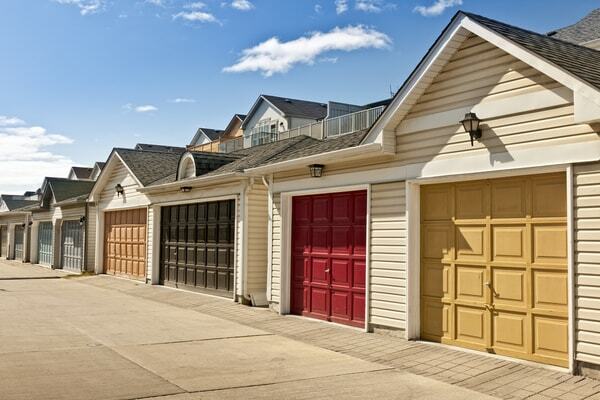 A smart new garage door that helps keep your home secure and insulated will also add value to your property. Visually, it will give it what estate agents call ‘kerb appeal’, making your house more desirable if you ever want to sell it. If you use your garage to keep your car in, make sure your new garage door can be operated with a remote control (electric operator). It will save the time and effort involved in opening and closing the door manually, with the added bonus of not having to spend time faffing around outside if it’s raining. If you’d like to see our range of garage doors for yourself and talk to us about how a new one will make a good investment, visit our Cheshunt showroom.